White Paper: "Successful Solutions for ADHD, Symptoms of ASD, Dyslexia, OCD, and Other Brain Based Issues in Children and Adults"
Discover the successful non-drug treatment strategy that has the potential to give you or your child a better life! One filled with the ability to quietly focus, make and maintain enriching relationships, achieve grade appropriate reading levels and beyond, excel academically, gain inner peace and confidence, and develop emotionally and physically...in essence...become the child they were born to be. 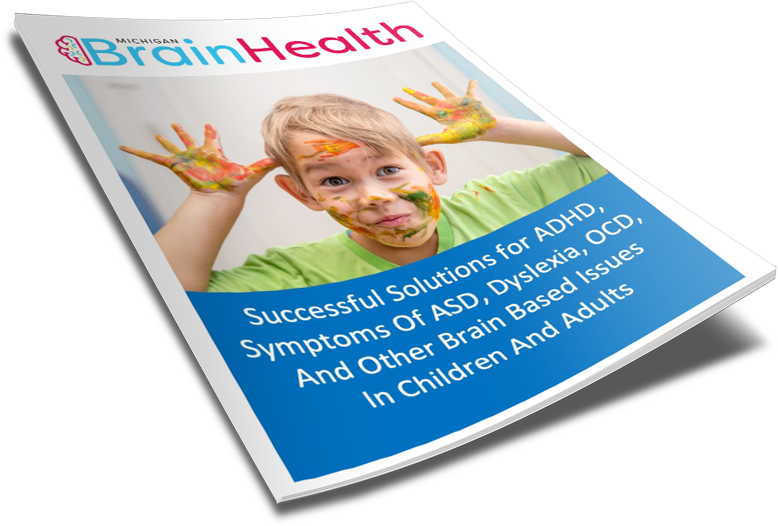 Simply enter your name and email address in the form to the right to gain immediate access to my white paper entitled: "Successful Solutions for ADHD, Symptoms of ASD, Dyslexia, OCD, and Other Brain Based Issues in Children and Adults". Neurobehavioral disorders such as ADD and ADHD are complex conditions and it takes a Big-Picture approach that utilizes the best science and technology have to offer to manage it effectively and create the relief I am sure you desire. You could spend hours searching the internet and not find the specialized information contained in this white paper and it is FREE. Learn more by filling out the form to your right, today!